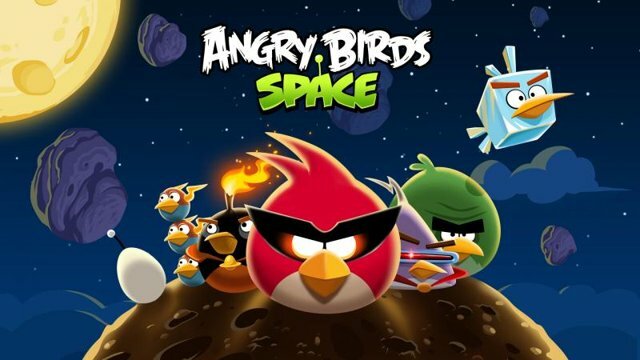 Angry Birds Space has been an Instant hit with as many as 3 million downloads since it was released 3 days ago. Angry Birds Space was released for multiple platforms simultaneously which maybe the reason for such high number of downloads in just 3 days. Developers of the game Rovio Entertainment confirmed the download numbers in a tweet. Angry Birds Space was very much awaited after the huge success of the previous series of the game Angry Birds Rio and Angry Birds Seasons. One platform which still did not get under the wings of Angry Birds Space is Windows Phone. The users of Windows Phone were left a behind in the race to download and play the game, but Rovio CEO Mikael Hed later stated that the game would definitely come to Windows Phone. That is a good news for Windows Phone users who are Angry Birds Addict! Angry Birds Space has got a new gameplay, with zero gravity regions and new challenging levels. There has been a makeover for the birds too, with red and blue birds getting new designs. Angry Birds Space has got 60 new levels which are enough to keep you engaged for quite long time. Rovio has stated to provide regular free updates for the game. Have you downloaded the game, if Yes than share your views in comments below !